Blog / a resistant body: who holds the power? a resistant body: who holds the power? 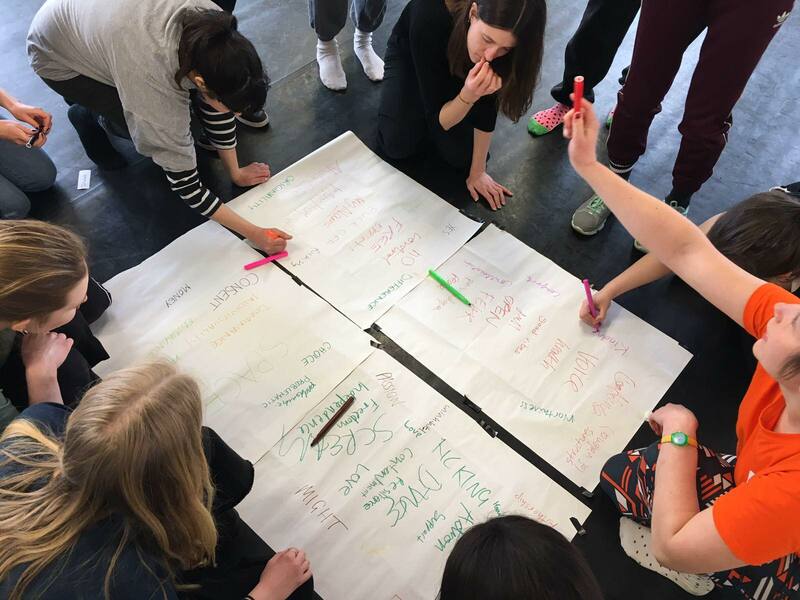 As part of Artsadmin’s education programme artists Phoebe Davies and Nandi Bhebhe (Bhebhe&Davies) are working with a diverse group of participants aged 16-25 years old to explore how bodies can occupy space. 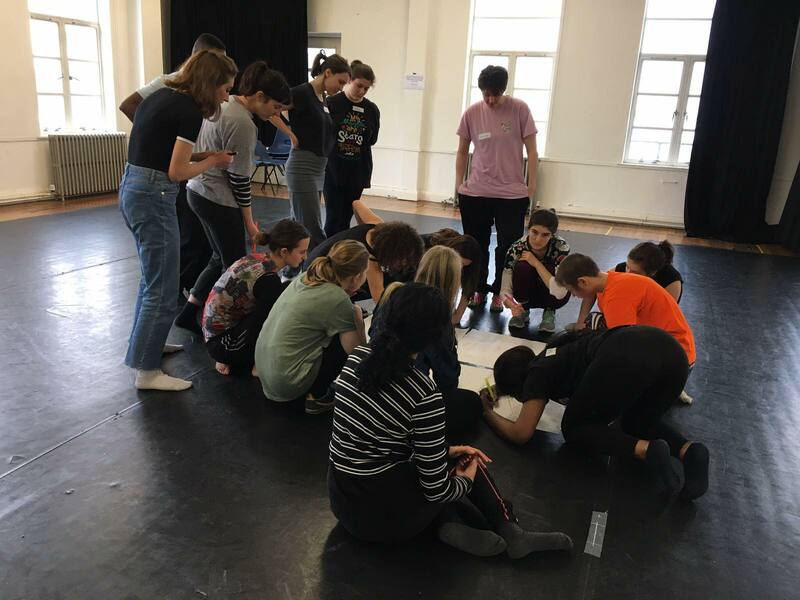 After visiting and delivering workshops in sixth forms and colleges we brought groups of young people together for a day of taster workshops at Toynbee Studios. Throughout the day we edited and directed each other, used our bodies to express where we feel powerful and where we feel powerless and created collaborative movement pieces. The next stage of a resistant body will be an intensive week this summer when Bhebhe&Davies will work with a smaller group to explore plural voices and experiences, acknowledging difference and power dynamics, collectivity and solidarity. The group will work together through movement, sound and camera direction to develop a series of short online videos. "We were so happy to meet everyone on the taster day. It was amazing to be in the space with lots of people at different stages of their careers- all making really exciting work. We genuinely learnt so much from the day and everyone who took part. We are really excited to work with Artsadmin on this project and cannot wait for summer school!" "I have never been so encouraged to take risks with my decisions and to use my body in a different way. I felt so empowered and invigorated after leaving the workshop and I’m so excited to work with them this summer and create something really special." "I usually feel quite self conscious moving in front of people however after about 3 or 4 minutes I was able to just be in my body. Nandi and Phoebe were great facilitators in being able to allow this to happen so quickly. I was interested to see how three words, a resistant body, could end up meaning so many different things to everyone who had participated. I left feeling very clear headed and happy." "I was really taken by the generosity in the workshop both by other participants and the propositions of Phoebe and Nandi. A safe space was created for everyone to have a voice within the tasks and processes we explored."